The history of Martini cocktail is long. It has been rumbling for more than a century between the clinking of vintage bottles, frozen cups and ice cubes that are stirred in the shaker strictly to the rhythm of a waltz. From the first recipe signed by the bartender who wrote the legend of blends, Jerry Tomas, to new interpretations with ingredients that break the tradition: scents of fragrant flowers, concentrated juices of fresh fruit, spirits arrived from the past and home-made syrups. Of course, the purists of Martini extra dry, in which Vermouth almost does not even touch the glass, could be horrified. But Iconha witnessed the preparation, before tasting, of the new recipes developed by the best bartenders in the world who competed in the "A tale of two Martinis" competition during the Diageo Global Final 2014 in London. And they chose the most innovative recipes. To try, even at home. How to prepare: pour the Vermouth into the mixing glass filled with ice, rinse it and throw it away. In a glass pour the gin and dissolve the sugar then pour it into the mixing glass. Stir and serve in the iced cup, decorating with a cherry blossom on the bottom of the glass. How to prepare: pour all the ingredients into the boston filled with ice, mix and serve in a crushed Martini cup decorated with small pear spheres. How to prepare: "We use the classic Stir and Strain technique, ie mixed and filtered, which is used for all martinis. We add a delicate infusion of chamomile, coriander, chilli that stimulates swallowing and a small concentration of fresh absinthe that makes the drink bitter, perfect for an aperitif », explains Claudio Perinelli. How to prepare: Let the berries infuse in the gin for 10-15 seconds then add ice, maraschino, mix and serve in the iced cup. How to prepare: Mix all the ingredients in the bostoon filled with ice and serve in the cup. 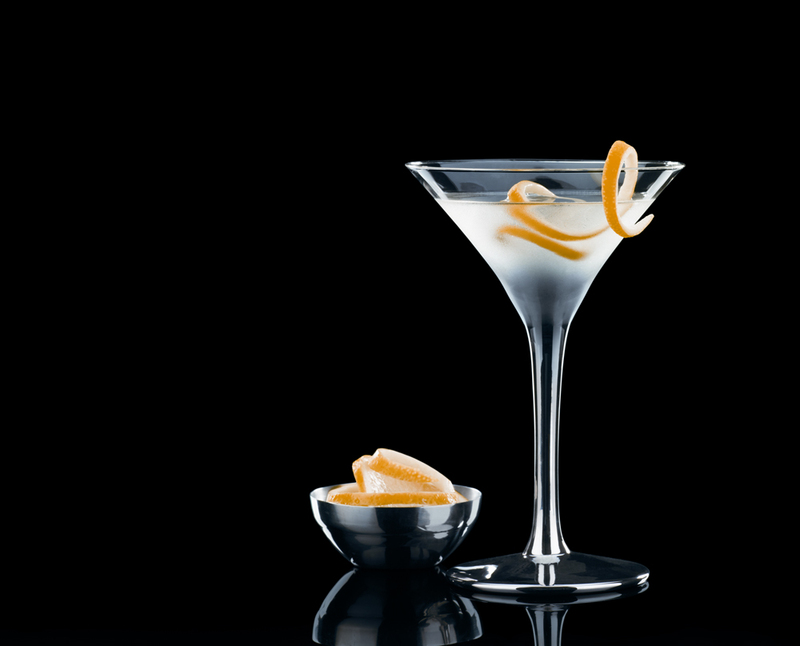 How to prepare: Pour the ingredients into the mixing glass, mix and serve in a vintage martini cup with a grapefruit peel. How to prepare: Mix the ingredients and pour into an iced cup.